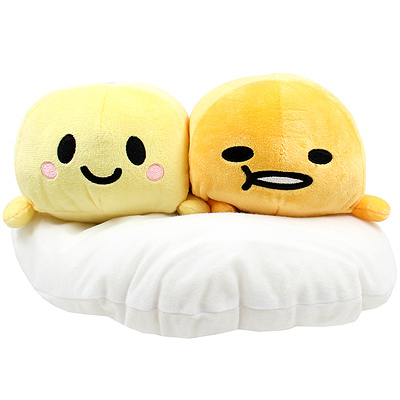 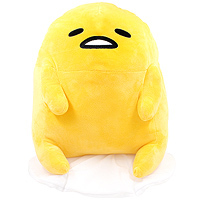 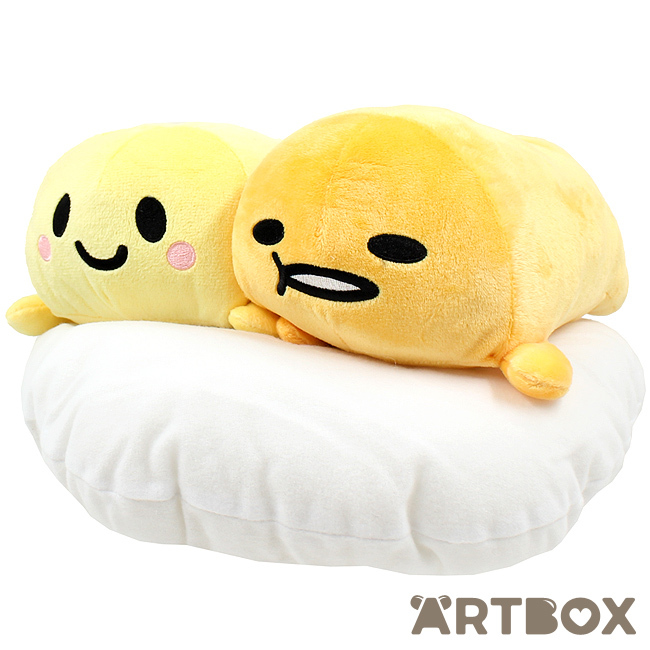 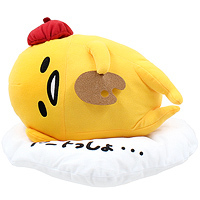 Laze around with your very own giant plush Gudetama, the adorable internet-famous lazy egg! 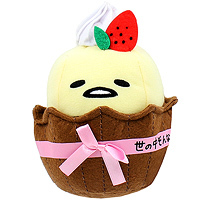 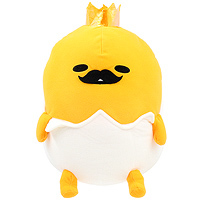 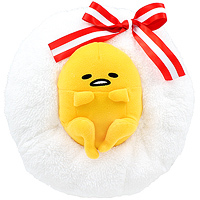 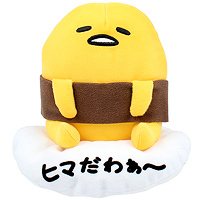 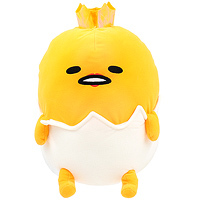 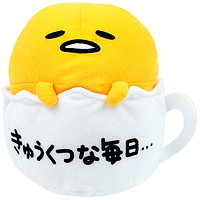 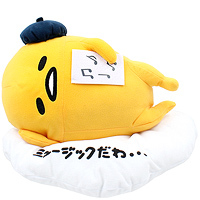 This soft toy features a classic Gudetama as well as the baby Gyudechama resting on a egg white pillow. 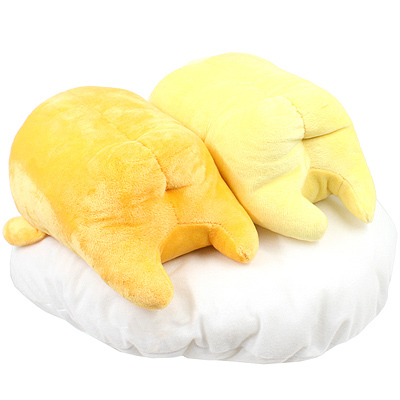 The plush is made out of soft fuzzy plush fabric with embroidered features and 3D details!